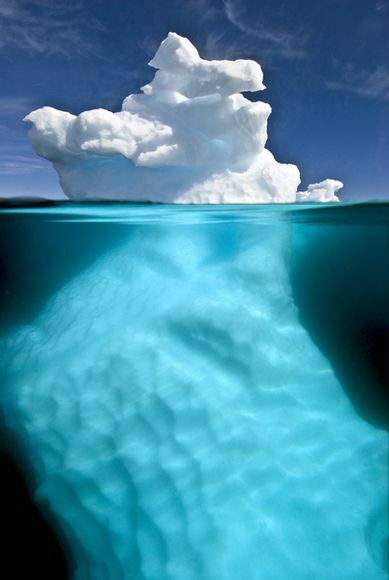 Daughters of Mormonism: Episode 43: The Pain of Patriarchy: "An Iceberg Beneath"
thank you, sybil. your words really resonated with me. that litany of from your birth and throughout your life--all the milestones being marked by men and emphasizing your second-place status ... it just hurts to see it so clearly. gail, i was struck by how you said that you didn't get to create the relationships you wanted until you distanced from all the examples of 'benevolent patriarchy.' i can see how many of the key men in my life (like my father) want to treat me well, but the only example they have is one that values men over women. Thank you so much for the whole series, Sybil. It's been wonderful, emotional, and frustrating listening. What I wouldn't give for a truly equal church. Thank you, Anonymous. And thank you, Karla. At the end of each episode, I say my thanks to the composer, but when I finished this episode, somehow I couldn't bring myself to put the music with the heart-brokenness of the ending what I had said. So, I figured I'd give him text recognition instead. I'm glad you noticed. This is my first time listening to your podcast and, as a Mormon wife and mother of two girls, I find it very interesting and insightful. Though I have felt a very few of the inequalities you have expressed (mostly regarding the role of women in the temple) I am at peace with my role as a woman in the church. In becoming a mother, I feel I have a special connection to God, a unique experience my husband will never fully fathom, and to me, that is not "merely" being a mother...it's truly a gift and an honor bestowed on me from God. Sometimes I feel bad for my husband that he will never truly understand what a miraculous moment that is, bringing a child into the world. That I get to work in conjunction with the heavens to bring this little person to the earth. Who needs the priesthood when I can have that? To me, it pales in comparison. In some ways, I think men need the priesthood to keep them doing what's right in a more tangible way than women do. Men and women are different, so why not have different roles that accentuate the best qualities in each of us? Being equal does not mean doing everything the same, it means respecting the differing roles and strengths of each person, whether male or female. I do believe there are men in the church who misuse and misinterpret the power they have been given, but not all men in the church do this, and I am lucky to know some pretty amazing and respectful priesthood holders. I appreciate your honesty on this very real issue and hope you know I'm not trying to criticize or disrespect your views in any way, just sharing another perspective that I have discovered. Thanks for taking the time to comment, Emily. I hope you'll stick around and listen to some of our other episodes (since the series you listened to is specifically about the ways patriarchy has hurt me and other women). I'm glad that you are feeling peaceful and fulfilled. Obviously, I don't share these feelings. To me, having motherhood offered as the reward for all the ways I've been treated as lesser doesn't work for me. Not because there aren't wonderful things about motherhood, but because before anything I am a person. I do not want sameness with men. I want respect and true equality where my contributions are valued as much as my brothers. I agree with you that the birth experience is a miraculous moment. It honestly changed me profoundly. My last birth was one of the greatest experiences of my life so far. And yes, sometimes I have thought about how unfair it is that my husband will never fully understand this miraculous moment. But then again, neither will many women in the church. Some will be in marriages but childless by choice (that is another podcast on here and is a decision I fully respect that women are capable of making for themselves), some women are infertile and desperately want to have their own biological children and can not, some women in the church never marry. What messages does the church's stance on priesthood give to these women? All men are allowed to hold the priesthood in the LDS church, regardless if they are fathers or not. But not all LDS women will get to be/choose to be mothers. Priesthood and motherhood are not equivalents. Fatherhood and motherhood are equivalents. As I understand it, parenthood is a separate issue from priesthood. To answer your question, "Who needs the priesthood when I can have that?" Well, I do! I do because the priesthood is described in the LDS church as "the power to act in God's name". Why should I be institutionally denied authoritative access to that power just because I am a woman and have the possibility of being a mother? The men aren't kept from the priesthood because they have the possibility of being fathers. Why would men need this power to fulfill their role as a father, but women wouldn't need it to fulfill their role as a mother? Why would I not need or want to bless my sick child with oil and in God's name? Why would I not be allowed to bless the children I birthed? Why? Have you ever considered this might be a cultural decree rather than a divine mandate? This isn't about wielding authority over others or desiring personal power. I could not care less about that. I don't believe any of us actually do have authority over others because of the priesthood anyway. Didn't Jesus fight for free will in the pre-existence? Why would we then be put on earth and have God put some of us in charge of others' spiritual lives? It makes no sense to me. I fully believe all members who desire to be ordained to the priesthood should have this right. LDS history is full of women blessing each other by the power of the priesthood. Sadly, this came to be discontinued and then banned in the church. I think we are all spiritually poorer for it. If priesthood provides opportunities to bless others' lives, why should women not be a part of that? Priesthood is about service in the name of God and is totally separate from whether or not I biologically reproduce, as I see it. Wow, Tiffany. That was an awesome comment! I've never heard a female desire for the priesthood that made such obvious sense. It isn't "power hungry" the way it has been painted. It's maybe "service hungry"? You might enjoy a guest post Lorie did on the Exponent II blog a few weeks ago. It is titled "Sacred Disobedience", I think. There are so many thoughtful women who have helped shaped my views on why it is so important for women to be institutionally validated with priesthood (priestesshood). I wish I could take credit for the content of my comment above, but it has largely been shaped by brilliant minds I have encountered. Thanks, Tiffany. I'll look for it! Oh my God, my God, why must I continually veil my face before you? Why must I keep my words sweet to your ears so as not to offend you with my shrill clamor for things I'm told I don't need, shouldn't want? Why must I stand forever on this tiny square atop a pedestal, my body entirely covered, my eyes cast modestly downward in submission, my lips curved into a gentle smile, my pose unobtrusive; silent, sweet, submissive, inoffensive, to be ignored or admired as you see fit? I have felt this cry before, Anonymous. Thank you.